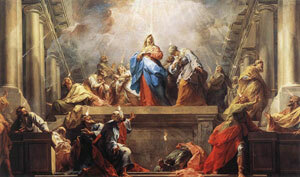 Whit Sunday or also called Pentecost commemorates the descent of the Holy Ghost onto the disciples of Jesus Christ. Many people will enjoy outdoor picnics with their family and friends. Some Christians will perform baptisms on this day. The day is a national holiday with government and most business offices closed. Whit Sunday is the 50th day after Easter in which the Holy Spirit descended upon the disciples and gave them the power to speak in different tongues. The disciples began to preach to the Jewish people about Jesus Christ causing them to go to Jerusalem for the Feast of Shavuot.